In a recent decision,the Supreme Court of British Columbia set aside and declared invalid an annual general meeting of shareholders and the resolutions passed at the meeting following a proxy fight between management and dissident shareholders. The court found that management’s proxy solicitation firm had improperly executed proxies on behalf of shareholders, based on instructions given by telephone to representatives of the proxy-solicitation firm (the “TeleVote System”). The court concluded that the TeleVote System failed to provide a contemporaneous, reliable, and verifiable record of proxies and voting instructions with the result that the use of such a system was oppressive to shareholders. The court’s decision arose in the context of a proxy fight between the incumbent slate of directors of Mosquito Consolidated Gold Mines Limited (“Mosquito”) and a dissident slate led by two former directors of Mosquito. Each side delivered information circulars to shareholders and engaged proxy-solicitation firms to solicit proxies from shareholders. Management’s proxy-solicitation firms offered telephone and internet voting, using a unique control number found on a shareholder’s proxy or voting information form. In addition, one of management’s firms used the TeleVote System. Under this system, a call centre was established in which representatives of the solicitation firm telephoned registered shareholders and non-objecting beneficial owners of shares to solicit their votes for the management slate. The call centre operators were permitted to accept verbal instructions from individuals and execute proxies on their behalf. A company controlled by one of the members of the dissident slate filed an application seeking a declaration that Mosquito’s annual general meeting was conducted in a manner that was oppressive to it as a shareholder of Mosquito, as well as orders nullifying the resolutions passed at the meeting and requiring a new shareholder meeting to be held. In granting the application, the court held that, while Mosquito shareholders had a reasonable expectation that their proxies would be solicited by telephone, they did not reasonably expect that their proxies would be sought and votes would be cast at the same time. This process departed from the standard commercial practice of voting methods for shareholder meetings under securities instruments and the Securities Transfer Association of Canada Protocol. Moreover, the use of the TeleVote System was not disclosed in management’s information circular together with the other specified voting methods, including delivering a proxy by mail, hand, or fax or appointing a different proxy holder by mail or through the internet. The imbalance between the use of the TeleVote System by the management slate and the traditional proxy solicitation process used by the dissident slate. Ultimately, the court concluded that the use of the TeleVote System constituted oppressive and unfairly prejudicial conduct and impaired the right of shareholders to a fair and transparent voting process. In the event that an incumbent slate of directors finds itself in a proxy contest, the management slate must ensure that the proxy solicitation tactics used by its proxy solicitors are fully disclosed in management’s information circular and that such tactics will produce verifiable and reliable results. The failure to ensure the existence of sufficient safeguards risks invalidating the election of directors and other shareholder business at an otherwise valid shareholder meeting. This article was originally published in Corporate Governance Report, Vol. 8, No. 1 and is republished with permission. In certain circumstances, directors and officers may find that their claims for indemnification under a directors’ and officers’ insurance policy have been denied by the insurance company as a result of various exclusions contained in the policy. However, the Ontario Court of Appeal’s recent decision in Lloyds Syndicate 1221 (Millennium Syndicate) v. Coventree Inc. suggests that, depending on the circumstances in which the insurance agreement was entered into, the words of the policy, including any exclusion clauses, may not be determinative as to whether the directors and officers are entitled to coverage. Coventree Inc. was a major participant in Canada’s asset-backed commercial paper (“ABCP”) market. When the ABCP market collapsed in August 2007, Coventree found itself exposed to potential regulatory and civil liability. Coventree Inc. and its directors and senior officers were insured under a policy issued by the Great American Insurance Company (“Great American”) that had a coverage limit of $1 million. The policy was set to expire on October 17, 2007 and Great American advised Coventree Inc. that the policy would not be renewed. However, the policy included coverage for claims commenced after the policy’s expiration provided that Coventree Inc. delivered notice of the potential for such claims before the policy expired. On October 16, 2007, Coventree Inc. gave notice to Great American of all potential claims that it envisioned could arise from the ABCP market collapse (the “Great American Notice”). The Great American Notice was worded as broadly as possible to maximize post-expiry coverage. Coventree Inc. also sought supplementary coverage by obtaining insurance from Lloyds Syndicate 1221 (“Lloyds”). After a series of negotiations, Lloyds issued an insurance policy for Coventree Inc. in the amount of $10 million for the period from October 17, 2008 to October 17, 2010 (the “Lloyds Policy”). The Lloyds Policy provided coverage for any alleged act that occurred before October 17, 2007. However, this prior act coverage was capped at the first $5 million of the $10 million limit. In July 2009, the Ontario Securities Commission commenced regulatory proceedings against Coventree Inc. and two of its senior officers. Coventree Inc. incurred more than $12 million in legal fees in responding to the proceedings and sought to recoup some of this amount from its insurers. Since the regulatory proceedings fell within the scope of the potential claims identified in the Great American Notice, Great American agreed to pay out its coverage limit of $1 million. Lloyds, however, denied coverage to Coventree Inc. on the basis that while the Lloyds Policy included prior acts, it excluded the potential claims referred to in the Great American Notice. 6(c) Has anyone for whom this insurance is intended given notice under the provisions of any other previous or current insurance policy of any facts or circumstances which may give rise to a claim being made against the Company [Coventree] and/or any Director and/or Officer? If Yes, please provide details. It is understood and agreed that if any such claims exist, or any such facts or circumstances exist which could give rise to a claim, then those claims arising from such facts or circumstances are excluded from the proposed insurance. Coventree Inc. answered question 6(c) in the affirmative and attached the Great American Notice to the application. Lloyds argued that pursuant to question 6(c) and the carveout provision, any claim for which Coventree Inc. had provided notice to a previous insurer would be excluded from coverage. Both the application judge and the Court of Appeal rejected Lloyds’ position and held that the Lloyds Policy provided coverage against claims referred to in the Great American Notice. The Court of Appeal emphasized the negotiations surrounding the Lloyds Policy rather than the wording of the policy documents themselves. The court stated that while the examination of any written contract must begin with the text of the agreement, the words alone may not be determinative of the objective intention of the parties. The court determined that it could examine the factual circumstances at the time of the negotiation and signing of the contract to determine what a reasonable person would have understood the agreement to mean. The court found that when Coventree Inc. applied to Lloyds, it was specifically seeking additional insurance coverage for matters in the Great American Notice since Great American’s coverage was limited to $1 million. After the ABCP market crash, Coventree Inc. was financially devastated and in the process of winding down its operations. Coventree Inc. did not require insurance for any subsequent acts since it was not conducting any new business. Coventree Inc.’s sole objective in obtaining insurance from Lloyds was to ensure that prior acts would be covered by the policy. The court determined that in answering question 6(c) in the affirmative and providing Lloyds with a copy of the Great American Notice, Coventree Inc. ensured that Lloyds was aware of the potential claims that could be made during the Lloyds Policy period. The court further noted that the main topic of the negotiations between Coventree Inc. and Lloyds was the potential litigation risks that were the subject of the Great American Notice. In subsequent communications, Lloyds sent a proposal to Coventree Inc. with the phrase, “waive questions number 6 and 7.” The Court found that this was clear evidence that Lloyds knew about the Great American Notice as well as Coventree Inc.’s interest in obtaining coverage for acts covered by the notice. In addition, that by delivering such a proposal, Lloyds indicated that it would not exclude coverage of potential claims described in the Great American Notice. Although Lloyds’ proposal did not form part of the final insurance documents, the court found that it was a relevant part of the factual matrix which, when viewed objectively, showed that the parties intended the Lloyds Policy to include claims covered by the Great American Notice. The court also noted that the Lloyds Policy stated that coverage for acts prior to October 17, 2007 would be capped at $5 million. The court reasoned that since the Lloyds Policy provided a cap on coverage for prior acts, it implicitly covered claims referred to in the Great American Notice up to $5 million. The court rejected Lloyds’ submission that two general provisions in the Lloyds Policy operated to exclude coverage for claims referred to in the Great American Notice. Notably, one of the provisions was an exclusion clause for claims for which notice was previously given to another insurer. The court held, however, that an exclusion clause in an insurance contract should be construed narrowly, with the result that the general exclusion clause could not be interpreted as altering the parties’ specific agreement that the Lloyds Policy covered potential claims identified in the Great American Notice. The Court of Appeal’s decision in this case is noteworthy for the court’s reliance on the context under which the insurance policy was issued, and the purpose for which the insured obtained coverage — rather than the wording of the policy itself — in interpreting the policy. This shift in interpretive focus is exemplified by the court’s refusal to consider the exclusion clause for prior claims once it concluded that the parties intended for the Lloyds Policy to cover such claims. Ultimately, the court’s decision suggests that directors and officers(as well as the companies that may be obligated to indemnify them) may be able to overcome exclusions of coverage where they can demonstrate that the context and purpose underlying the policy favours an interpretation which extends coverage to them. However, the Court of Appeal’s decision may not be the final word on the matter, as Lloyds has sought leave to appeal this decision to the Supreme Court of Canada. 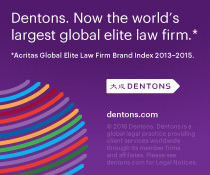 This article was co-authored with Dentons’ Soloman Lam. It was originally published in Legal Alert, Vol. 31, No. 8 and is republished with permission of Carswell, a division of Thomson Reuters Canada Limited. Directors of Canadian companies with operations outside of Canada can take comfort in the Ontario Court of Appeal’s recent decision in Piedra v. Copper Mesa Mining Corporation. In that decision, the court dismissed an appeal by three residents of Ecuador from a decision striking their claims against Copper Mesa Mining Corporation (“Copper Mesa” or the “Company”) and two of its directors (the “Directors”). The claims had been stricken for failing to disclose a reasonable cause of action. Broadly speaking, the plaintiffs had alleged that the Company and the Directors were negligent in not preventing alleged assaults by the Company’s security forces against the plaintiffs. In its decision, the court canvassed a director’s duty of care to foreign residents for acts of the corporation outside of Canada and determined that any claims by such plaintiffs must be specifically pleaded against the defendants. The plaintiffs were citizens of Ecuador who had opposed the exploration and development of an open-pit copper mine adjacent to several small villages in the Junín area of Ecuador (the “Junín Project”). The project was being developed by subsidiaries of Copper Mesa, a junior mining company incorporated under the laws of British Columbia. Copper Mesa’s shares were listed on the TSX. The plaintiffs alleged that Copper Mesa’s subsidiaries subjected the plaintiffs and other local villagers to a campaign of intimidation, harassment and violence carried out by locally hired security forces. The plaintiffs claimed that the Directors knew of local opposition to the project (including the potential for violence) but failed to take any steps to prevent the violence from occurring. The defendants brought a motion to strike the plaintiffs’ claims under Rule 21.01 of the Rules of Civil Procedure on the basis that the claims disclosed no reasonable cause of action. The motion judge agreed and dismissed the action. The plaintiffs appealed to the Court of Appeal. The plaintiffs argued that the Directors were personally liable for the torts committed by Copper Mesa’s subsidiaries. As a result of a meeting with community members, the Directors had knowledge of local opposition to the Junín Project and, according to the plaintiffs, failed to use that knowledge to prevent the harassment and violence experienced by the local villagers. The plaintiffs relied on Copper Mesa’s prospectus disclosures and other publicly available documents as further evidence of the Directors’ knowledge about the potential for conflict surrounding the Junín Project. The court concluded that the claim against the Directors disclosed no reasonable cause of action as the foreseeability and proximity requirements to establish a duty of care were not satisfied by the plaintiffs’ pleadings. The court reaffirmed the principle that a director’s personal liability for the acts of the corporation is limited except when the director’s personal actions are themselves tortious. In this case, there was no direct connection between the violence in Ecuador and the Directors. Moreover, there was no factual basis to suggest that the Directors had committed any personal wrongdoing. The court commented that the plaintiffs’ choice of defendants highlighted the weakness of the connection between the incidents of violence in Ecuador and the Directors named in the action. The court questioned the decision not to include as defendants in the action the perpetrators of the alleged torts in Ecuador, Copper Mesa’s subsidiaries and their management teams, as well as other Copper Mesa officers or directors. Further, the plaintiffs decided not to advance a direct claim against Copper Mesa as the parent company. Instead, the plaintiffs indirectly claimed against Copper Mesa on the basis of vicarious liability for the claims made against the Directors. It remains to be seen whether this action would have survived the motion to strike the claims if the plaintiffs had chosen to name other defendants in the action, for example, Copper Mesa’s subsidiaries and their management teams. The plaintiffs’ choice not to include these potential defendants may have resulted from a concern that, had these defendants been included, the plaintiffs may have faced a jurisdictional challenge, given that these defendants have no apparent connection with Ontario. Several Canadian companies, particularly those in the resource and mining industries, carry on business in foreign jurisdictions and may face opposition to development projects from local residents for various reasons. Ultimately, the Court of Appeal’s decision establishes that bald, generalized claims against directors for the alleged wrongful acts of agents or employees in foreign jurisdictions are insufficient to sustain a cause of action against them. It is not enough to assert liability against a director simply because of the director’s position. Instead, if plaintiffs wish to pursue a claim, they must set out particularized allegations regarding the director’s knowledge, specific wrongful acts or failures to act, to maintain a claim. This article was co-authored with FMC’s John Zerucelli. It was originally published in Legal Alert, Vol. 31, No. 5 and is republished with permission of Carswell, a division of Thomson Reuters Canada Limited.